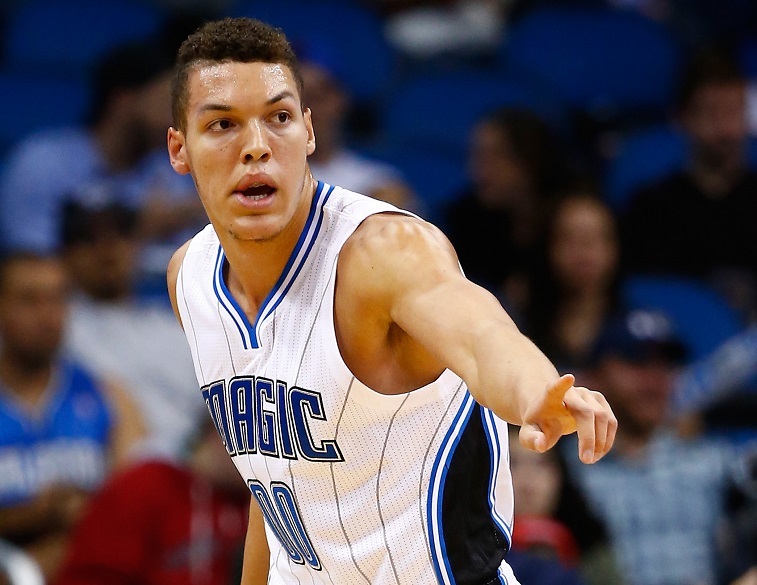 NBA: Did The 2014 Rookies Live Up to All the Hype? The 2014 NBA Draft Class was supposed to be the best one in a decade. Between established names like Andrew Wiggins and Jabari Parker, boom-or-bust prospects like Joel Embiid, and returning headliners like Marcus Smart, this year’s crop of NBA rookies was earmarked for greatness at best, and solid contributions on the floor at worst. Even if Chad Ford goes back and edits his rankings to say that none of them were ever going to be any good, ever, we’ll still remember the hype. They can’t take that away from us. That said, here’s a look at the top seven NBA draft picks of 2014, and how they ended up performing in the season once the games actually started to matter. We’ll be going in ascending order. Also known by the ridiculously perfect nickname “Maple Jordan,” Wiggins went from guaranteed superstar to “does he have a motor?” and back again during his lone season playing for Bill Self at Kansas, an oscillation buoyed by the emergence of his less-heralded teammate Joel Embiid. Before the NCAA season started, Wiggins was neck and neck with Parker for the title of best player in the draft class. By the end of it, he was the oldest name in a three way race, but Cleveland still saw fit to take him first overall — even if they did trade him to Minnesota for Kevin Love. So how did his regular season go? 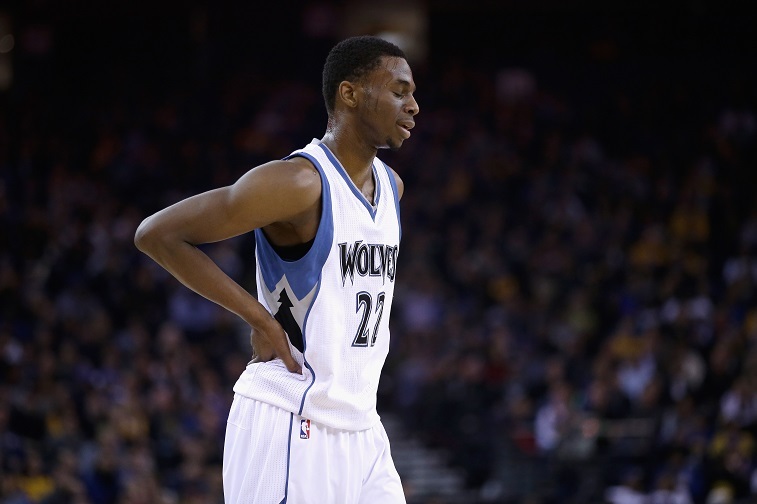 Wiggins averaged 16.9 points, 4.6 rebounds, and just over two assists per game for a 16 win Minnesota Timberwolves team. It’s hard to separate the losing from the numbers, but the T-Wolves weren’t trading Love away for an immediate improvement anyway, and Wiggins managed to make it through the season intact (so far), which is more than can be said for his immediate contemporaries. While Wiggins was getting compared to athletic wings like Tracy McGrady, the slightly stockier Parker was getting measured against players like Paul Pierce and Carmelo Anthony for his shooting touch and wing play. In a perfect world, the Wiggins/Parker rivalry would’ve gone right down to the wire as far as the competition for the Rookie of the Year Award, and both players would’ve made impressive cases for winning it, setting up a rivalry that would entertain the rest of us for years to come. That’s what would’ve happened in a perfect world, but in the real world Parker only managed to play in 25 games before being sidelined for the season after tearing his ACL. 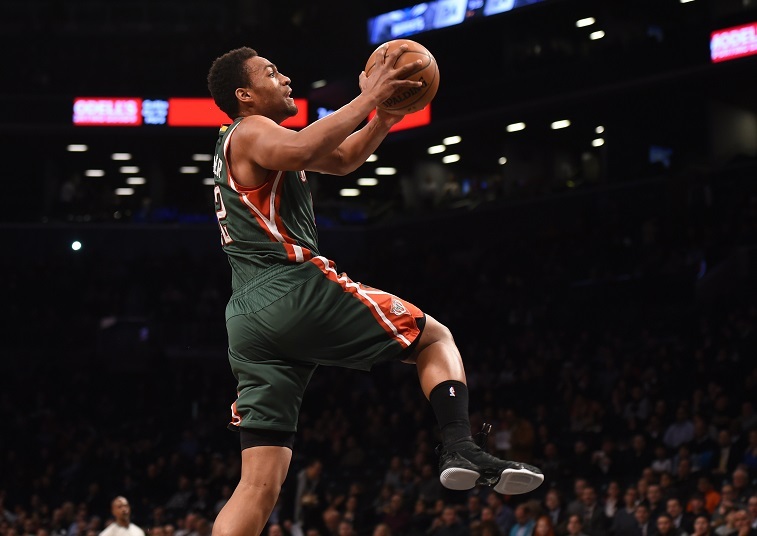 While his numbers (12 points and 5.5 boards) were fairly pedestrian, the Bucks had begun to step into a nice rhythm before the injury, and paired with Giannis Antetokounmpo, Milwaukee’s wing looks like it could be something special. The third pillar of the 2014 draft class, wunderkind center Joel Embiid went from a raw prospect expected to develop slowly in Kansas to a spotlight stealing center with the kind of footwork that put him in a class with Hakeem the Dream — the guy who was a consensus number one pick ahead of Michael Jordan, in case your draft memory needs some refreshment. No pressure there. Unfortunately Embiid picked up a series of minor injuries that left him unable to compete in the NCAA tournament, and he has not yet made his NBA debut, which would be a concern to most teams, but the Philadelphia 76ers (who drafted him) have little interest in fielding a competitive product at the moment, or in the near future, as Embiid is scheduled to sit out the 2015 season. Gordon, an athletic power forward fresh off an impressive run with the Arizona Wildcats, was drafted by the Orlando Magic, who are not very good despite being the winners (or if you prefer, the team that lost the least) of the Dwight Howard megatrade that involved them, the Denver Nuggets, Philadelphia, and the Los Angeles Lakers. Another player who saw his time on the court curtailed by injury, Gordon’s initial prognosis after a foot fracture was that he would be out indefinitely: In reality, the rookie was only sidelined from November until February, and finished out the year strong, even if Orlando isn’t going to make a playoff run in the near future. Part of the reason we brought Chad Ford into this discussion has to do with Dante Exum — a pure point guard who, at 6-foot-6 and 180 pounds, would seem to be a premiere pick on paper. We stress on paper here because the game tape on him was nearly impossible to get ahold of, for NBA talent evaluators or fans alike, and yet Ford wrote that “Exum is widely regarded as the best point guard prospect in the draft. In speaking with numerous scouts and executives, all had Exum atop their PG board. That’s pretty amazing for a player scouts have barely seen and most GMs haven’t seen live. ” He also made a not-so-veiled assessment of the Jazz’s pick as having an “NBA All-Star or superstar status” ceiling. So far that hasn’t translated to on-court success, but Exum just turned 20, so there’s plenty of time for him to grow. 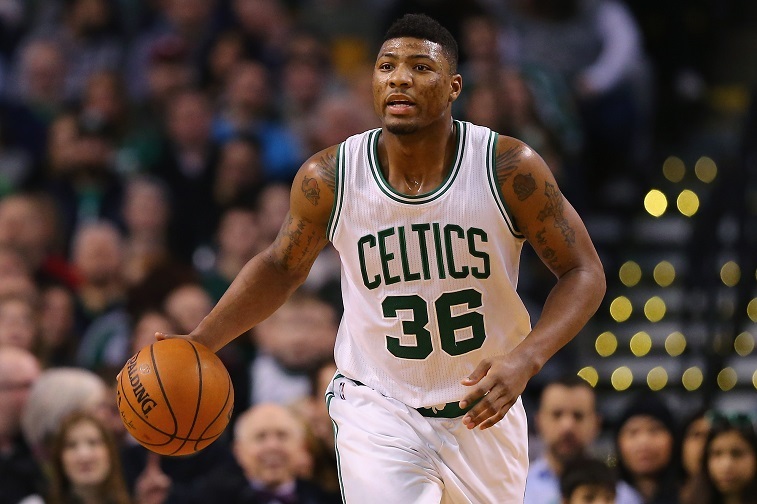 When Marcus Smart gave up a nearly guaranteed top five spot in the 2013 NBA Draft to spend another year at Oklahoma State, it provided a modern day parable about the risks associated with staying in the NCAA longer than you have to, as his numbers stayed largely the same and he had to contend with some overly hostile fans and a much deeper draft class. That said, at 6-foot-4 and over 220 pounds, his potential to guard up to three positions at an NBA level weren’t going anywhere, and Smart’s floor on draft night was ether the Celtics (who nabbed him with the sixth pick) or the Lakers, who were sitting at number seven. The Celtics can’t seem to stay bad enough to tank properly, but they’re clearly not a serious NBA contender in the near future, even if they do manage to steal a game or two in the first round of an upcoming playoffs. Smart may not be a franchise-defining talent, but he’s certainly capable of being a starter on a quality NBA team (even if his offense won’t garner much respect). And he’s been healthy for the most part, which has been a nice touch. Properly rated. Injuries are a real bummer regardless of who they happen to, how they happen, or what sort of problems they pose, but they don’t come much worse than Julius Randle’s broken leg. Coming off an NCAA season that saw him established firmly as a man among boys at the college level, there were questions about how the power forward’s game would translate to the professional level — and, Laker fan or not, everyone was excited to see how the Kentucky alumni would adapt. That excitement lasted exactly 14 minutes into his first NBA game, when the season-ending fracture occurred. We’re hoping that he comes back with a chip on his shoulder (and not in his leg) and delivers a standout performance for 2015.